Tide predictions are not available for this station. 5 more station photos available, click to view. For questions about disabled sensors, please contact CO-OPS User Services. How to reach: To reach the tidal bench marks from the intersection of Carrollton Avenue and River Road in the Carrollton section of New Orleans, proceed south on River Road for 1.2 km (0.75 mi) to the New Orleans District Corps of Engineers reservation along the Mississippi River. The bench marks are located at the north and south ends of the Corps of Engineers office building. 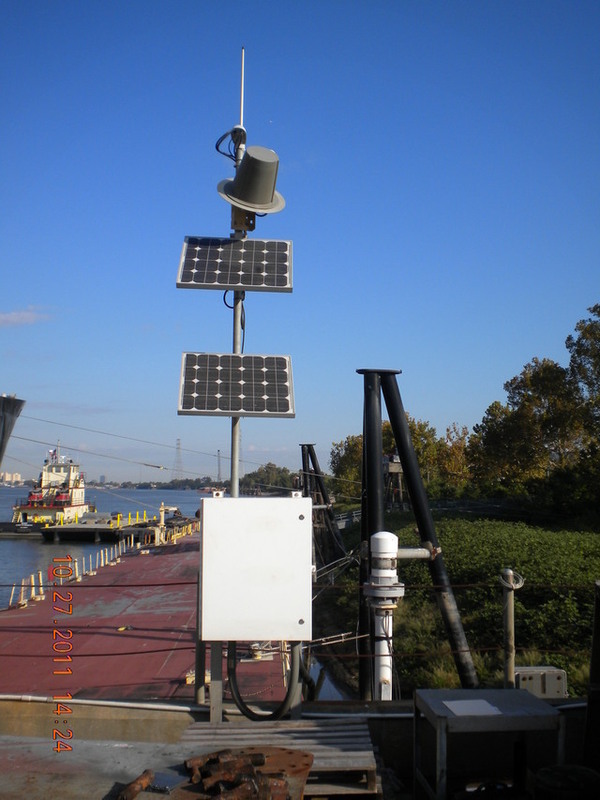 The tide gage was located on the north side of the large pier along the river near the south end of the building.